What is Crew Pay and how does it work? 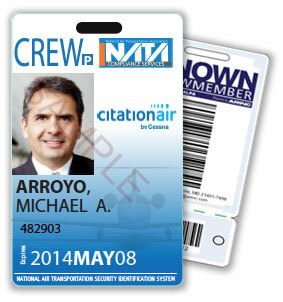 Many companies manage their airplanes and crew by dedicated crew credit cards. Crew Pay gives you the option to have a Crewmember use their Crew or personal credit card to pay for their Known Crewmember Badge. How to Enable Pilot "Self-Pay" for your crew. 6. Select the employee(s) you wish to enroll in “Self-Pay” (aka “Self-Enroll”). Ensure the email address for that employee is correct or edit to update and save. 7. Click on “Approve Employees to Self-Enroll”. The employee(s) will receive an email notifying them that you’ve enabled their “Self-Enroll/Self-Pay” option.